"A General Intelligence Factor in Dogs"
- Dogs that solved problems more quickly were also more accurate. - Dogs’ cognitive abilities can be tested quickly, like those of people. - Bigger individual differences studies on dog cognition will contribute to cognitive epidemiology. Hundreds of studies have shown that, in people, cognitive abilities overlap yielding an underlying ‘g’ factor, which explains much of the variance. We assessed individual differences in cognitive abilities in 68 border collies to determine the structure of intelligence in dogs. We administered four configurations of a detour test and repeated trials of two choice tasks (point-following and quantity-discrimination). We used confirmatory factor analysis to test alternative models explaining test performance. The best-fitting model was a hierarchical model with three lower-order factors for the detour time, choice time, and choice score and a higher order factor; these accounted jointly for 68% of the variance in task scores. The higher order factor alone accounted for 17% of the variance. Dogs that quickly completed the detour tasks also tended to score highly on the choice tasks; this could be explained by a general intelligence factor. Learning about g in non human species is an essential component of developing a complete theory of g; this is feasible because testing cognitive abilities in other species does not depend on ecologically relevant tests. Discovering the place of g among fitness-bearing traits in other species will constitute a major advance in understanding the evolution of intelligence. 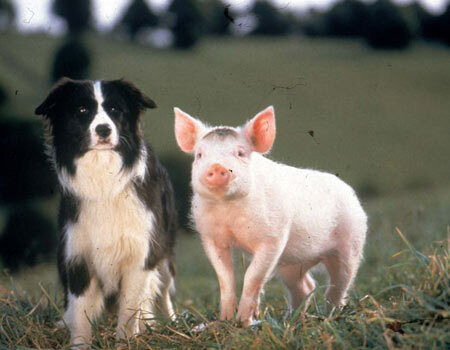 The study in this paper was done on 68 youngish border collies from farms in Wales. Border collies are famously energetic and trainable. Our results indicate that even within one breed of dog, where the sample was designed to have a relatively homogeneous background, there is variability in test scores. The phenotypic structure of cognitive abilities in dogs is similar to that found in people; a dog that is fast and accurate at one task has a propensity to be fast and accurate at another. It may seem obvious that once a detour task (finding the treat behind a barrier) has been solved in one form, the solution to the other forms will follow naturally, but dogs are not people. Experiments have shown that dogs’ problem-solving skills do not transfer readily from one problem to a different form of the same problem as ours do (Osthaus, Marlow, & Ducat, 2010). The g factor we report is consistent with the prediction made by the many experts in the ‘dog world’ (trainers, veterinarians, members of dog societies, and farmers) who were consulted in the early stages of this study. Those experts said that in their experience some dogs were more likely to catch-on, learn and solve problems more quickly than others. Pets seemed to vary notably in intelligence. My wife’s family had to move from the Austin neighborhood in Chicago to a distant exurban farm from which her parents commuted to their Chicago jobs. They took in dozens of dogs from their city friends (“Fido went to live on a farm” isn’t always a euphemism). The dogs differed sharply in personality and intelligence. Or, for example, consider my two pet rabbits who lived in the backyard. One reacted to almost being grabbed by a giant hawk by immediately setting about digging a 15 foot long tunnel under a concrete floor, giving himself two exits. It took us months to figure out where all the dirt, like in The Great Escape, was coming from. The other one never noticed raptors, including the chicken hawk that sat on a chair 3 feet from him. As a child, I owned, in succession over 14-years, five identical-looking blue parakeets named Tweeter. (I don’t like change.) Tweeters 1, 3, and 4 were pretty sharp, while Tweeters 2 and 5 were duds.